Finding and attracting high quality clients for your business should be one of your most important objectives. Right up there with retaining existing clients and finding high quality employees. In this post, I'm going to share the various tactics we've used over the years to land high-quality clients. Please note that this blog post is being continously updated, so by signing up to the newsletter, you will be getting exclusive access to new updates directly in your mailbox. 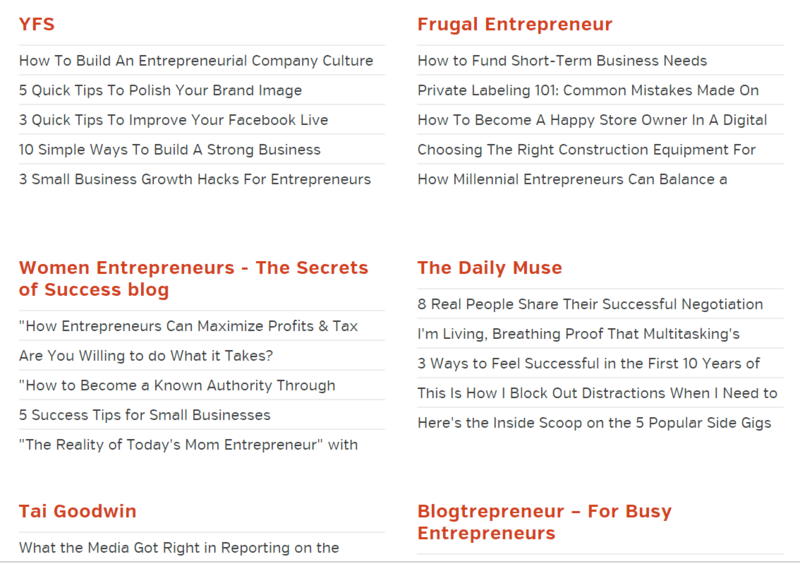 Note: To make navigation easier, you can click on the icon near each title to quickly jump from one section to another. This is what almost every marketer I've met thinks. Redditors hate BS.. and self-promotion.. and reposts. Yet, Reddit is an absolute goldmine when it comes to finding clients. Because subreddits group your ideal clients together, in one place. So how do you attract redditors to your website? You do so by using the Added Value Technique. If you stick around on any subreddit, you'll soon realize that users are mostly asking the same questions. So, a great way to understand what subreddit users commonly search for, and ask, is to use a Reddit keyword research tool, such as Keyworddit. Now that you know what users are talking about, all you need to do is build content that answers their questions. 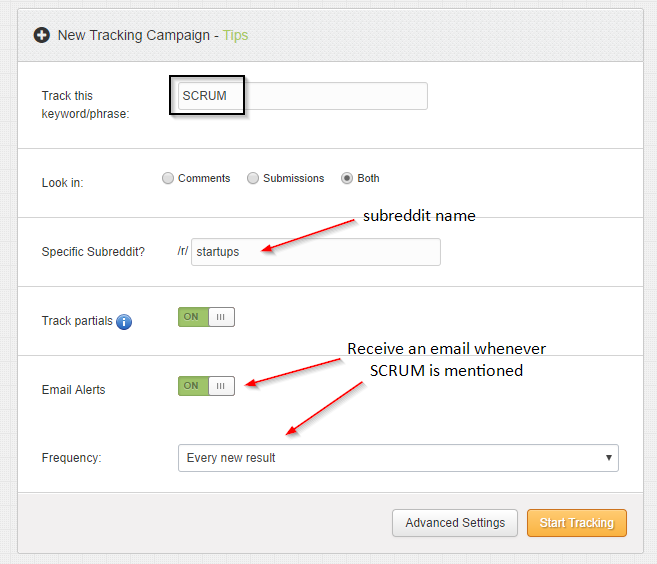 For example, by searching the Startups subreddit, you can start finding topics you might want to write about. Based on these search results, you might want to, for example, write an article that clearly outlines how your company uses SCRUM. Also, make sure that all of your content aligns to your overall SEO Strategy. The next step is to monitor keyword mentions on that particular subreddit. You can do so by using a tool like TrackReddit. Now that you are getting alerted when your keywords are mention, your next goal is to act fast. Leave a comment that uses an extract from your article. People tend to respond much better to stories, rather than advice. When you're done, state that you have a guide, and that with their permission, you can send them your guide via private message. If your answer is spot on, curiosity will get other people to ask you for your guide. Once you get a lot of people asking for your guide, share a link in the comments section. The Added Value Technique can also be applied across different channels. 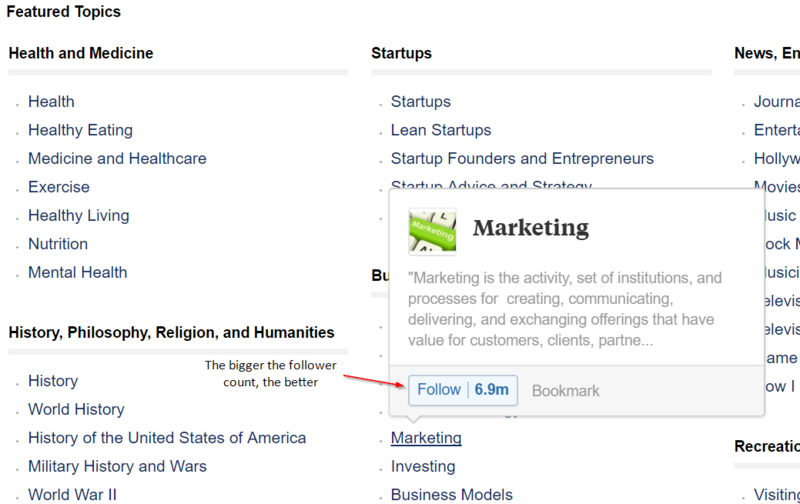 For example, you can similarly apply this technique on niche social bookmarking sites, such as Inbound (Marketing audience) and HackerNews (Startups and Technology audience). "Quora is littered with spam. Most of the questions I saw on Quora where about dating, how to raise your kids and how to get rich." This is what a friend of mine told me when I asked him to join the Quora community. It's true, there might be some weird questions on Quora, like well.. everywhere else on the internet. 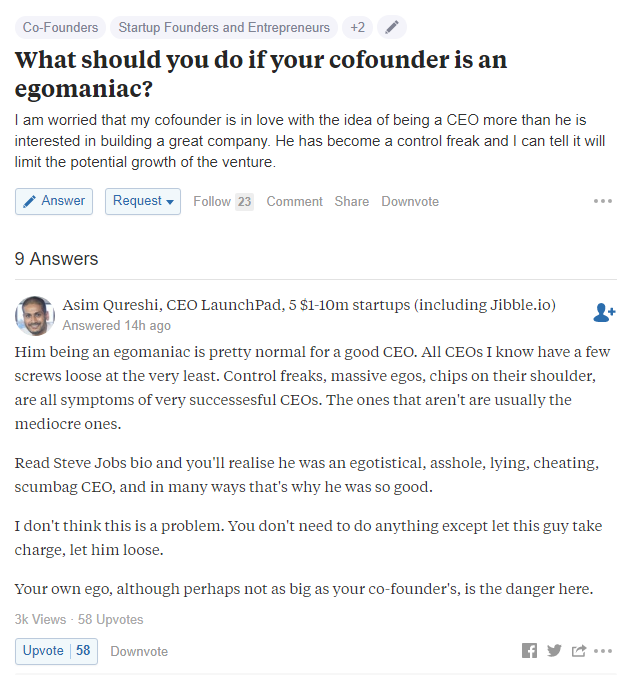 Yet, Quora is a great channel when it comes to getting highly targeted traffic to your website. Look for topics where you can demonstrate relevant expertise. The best way to find topics is through Quora's sitemap. To get your answers in front of a larger user base, make sure you choose topics with a large number of followers. The next step is to find questions with a lot of followers. When answering a question, the question's followers are immediately notified on Quora. Also, having a lot of eyeballs on your answer increases your chances of being upvoted. This, in turn, makes your answer appear into various user feeds. 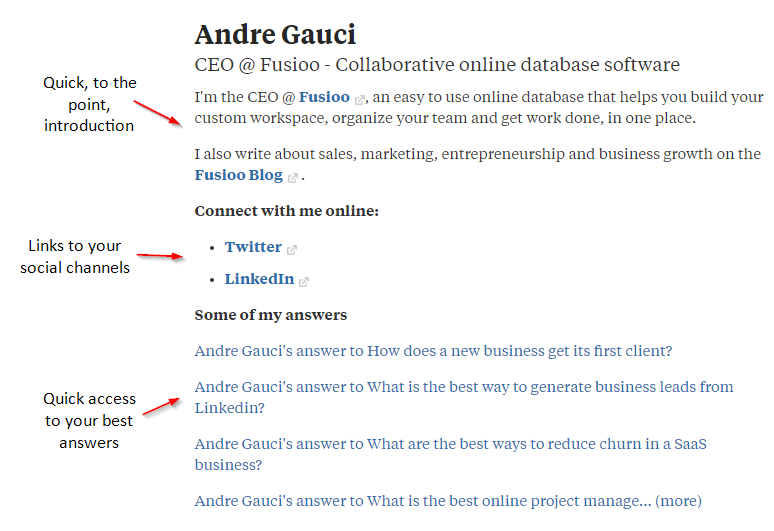 Your next job is to optimize your Quora profile to maximize traffic to your website/landing page. Setting up an online community is a great way of building a highly engaged and highly targeted audience. There is a plethora of platforms you could use to do just that, but here are just some examples to help you get creative. There are 3 major benefits of building an online community. Your first job when building an online community is to understand your competition. Is the community shifting to other platforms? Does the audience consume content across multiple communities? How do the community managers handle spam? Now that you have an idea of who you're competing with, your next goal is to find your niche. This means that you'll need to figure out your ideal community individual. What content are they looking to consume? Which type of discussions are they looking for? Your goal is to talk to your potential audience. Finally, you need to understand that building a community takes a long time and effort. The best way to grow your community is to think about growth from the very start. Does the community have the necessary hooks to help your members attract new community members? Does it have the necessary incentives? One of the best way to get highly converting referral traffic is to get your product or service mentioned by high quality blogs in your niche. Blogs your customers love and respect. Helps you build a brand. Brings in highly-targeted sales leads. Can be implemented at any budget. Find people with a highly-engaged Twitter following using tools such as FollowerWonk. Now that you've compiled a list of potential targets, your next job is to let them know about your offering. In the smart emailing section, I've included some pitching tips you could use to improve your odds. No, "Buying a thousand links on Fiverr for $5" is dead. As long as search engines exist and people still use them to find relevant information, search engine optimization will endure. So, how do you get found on Google, Bing, Yahoo and DuckDuckGo? What do you need and where do you get started? First of all you need to understand that SEO is a long-term investment. It is also a bit of a polarizing topic - there is literally an endless amount of resources online, mostly divulging contradicting information. If you want to get in front of your potential clients, you need to understand what users are searching for. Fat head keywords. These are higher level, less specific terms users use when querying search engines. An example fat head keyword would be: "project management". Long tail keywords. These are very specific terms users use when querying search engines. 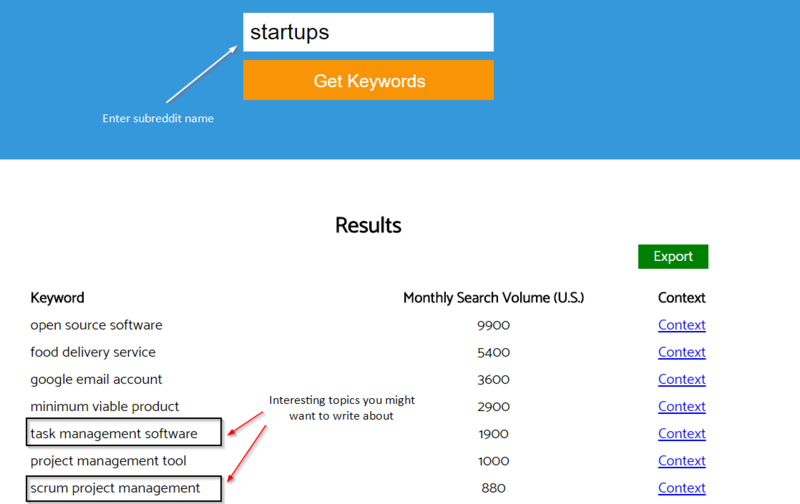 An example long tail keyword would be: "project management software for small teams". There are many tools that could help you with keyword research. Step 2: Build compelling, search engine optimized content. So, how do you target your ideal keywords? You do so by writing compelling, keyword-optimized content (blog posts, landing pages, resource pages, round ups and more). Here's a great guide on how to do just that. Also, make sure to include Latent Semantic Indexing (LSI) Keywords in your content. LSI Keywords helps search engines understand context. So, if you're talking about Apple (the brand), you might want to include keywords that are connected to that brand, like "Apple Watch". Step 3: Build quality links to your content. The next step is to set up your link building strategy. When setting up your strategy, make sure you avoid the common pitfalls - such as buying or building spammy links. You need to understand the Google Webmaster Guidelines and more specifically, the repercussions of having your website flagged by the Google Penguin algorithm. As for building links, the best way to get started is to reverse engineer your competitors link building strategy. To get started, you'll need to use a backlink checker tool, such as Ahrefs or Serpstat. Finally, you'll need to track your progress. Are you ranking for your target keywords? Are there any other keywords you might optimize for? 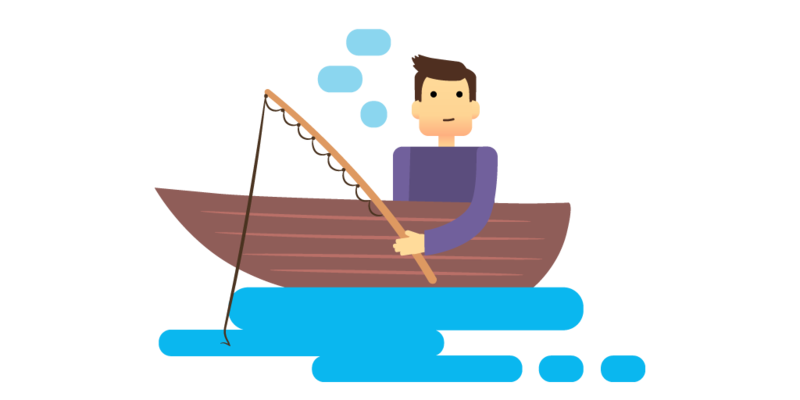 To answer these questions, you will need to get familiar with Google Search Console. Create 3 landing pages targeting high-traffic, low competition long tail keywords. Craft a link building strategy based on your exact needs. Monitor your progress using Google Search Console and Google Analytics. In recent years, "content is king" has become sort of a cliché. If you ask any marketer out there, they'll tell you that content should be central to your marketing campaign. When executed properly, building and distributing high quality content can pay huge dividends. So, what are the benefits of building high quality content? You get high quality traffic. You start creating relationships with influencers in your niche. 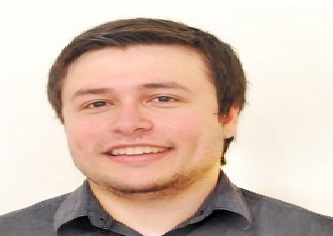 You accelerate your link building efforts. Your first job is to map out what your audience wants. For example, most of our clients and existing blog followers are digital agencies, startups and entrepreneurs. They don't care about database, CRM and project management software. They care about how they are going to improve their cash flow, get more productive and grow their business. And that's exactly what we're writing about. By understanding what they want, we're creating content that solves their needs. So to get started, search on Quora and Reddit what your audience cares about. That's the kind of content you need to build. Your next step is to set up your content strategy. Which type of content resonates with your audience? Now that you know what content you need to build, your next goal is to find ways on how to distribute your content and get as many eyeballs as possible. Social networks (Facebook, Twitter, LinkedIn). Q&A sites (Quora, Yahoo Answers, StackExchange). Social bookmarking sites (Reddit, Inbound). Have you ever used an online calculator to calculate your net salary? Or maybe use an online website grader, that scores your website and lists a number of possible improvements. These two are perfect examples of how you can use your engineering talent to attract and close leads. Harnessing the power of reciprocity. Before building your online tool, build an audience. You can do by using your existing distribution channels, such as, for example, your blog. Now that you've got a solid list (your blog audience + your existing customers), your next job is to leverage their collective knowledge. How can you empower your audience? Can I build the website myself? What specific knowledge do I need? How do I market my website? What are the attached costs? You can build a tool that answers these exact questions. Finally, your goal is to promote your tool. And, because you've already built an audience, you can do so by leveraging their network. Make the tool easily shareable and add incentives for those who share it. Build a simple, free tool and share it on Reddit. Use Google Analytics to measure conversions to your website. Test, rinse and repeat. People like linking to and sharing opinions that affirm their controversial views. It can help with your SEO efforts, propel your answers on Q&A sites and kickstart heated discussions on your blog content (resulting in more traffic). Also, being both controversial and genuine can help you amass a cult following. Just look at Gordon Ramsay and Gary Vaynerchuk. If you're answering questions on Q&A sites or building content, just check out what the vast majority thinks about that particular topic. Your next job is to share an opposing view that has a non-vocal minority. Chances are that people online are speaking about your product or service. They might be comparing you to one of your competitors. Or maybe telling other users (read: potential clients) how bad your offering is. Now, what if you could turn those mentions into opportunities? The truth is that caring about your customers can make all the difference in a very noisy world. Helping potential customers out and letting them know how they can solve their problem is a great way to let people know that you care. There are a lot of tools you could use to monitor brand mentions. Two such tools are Mention and Google Alerts. If you're using Slack or HipChat, you might also want to check out Notify.ly. The next job is to turn your online mentions into opportunities. Link to valuable resources. When your company or your competitors get mentioned, help users out by linking out to free resources available on your site. Turn mentions into backlinks. When bloggers mention your company, they might forget to link back. By turning mentions into backlinks, you can propel your overall SEO Strategy. Smart emailing, when executed properly, can unleash a new world of opportunities. 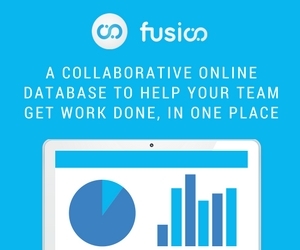 In fact, it is one of the most solid, tried and tested sources for new clients at Fusioo. So, what exactly is smart emailing and is it legal? Smart emailing is the act of researching, contacting and warming up your relationship prior to sending business related emails. If you're not sure whether it's legal or not for your particular use case, make sure to check out this guide. Easy to track, monitor, improve and scale. Smart emailing is all about researching and targeting the right prospects. Your #1 goal is to clearly define your ideal customer. Ask yourself, which customers would be the best fit for my product or service? Now that you've created a list of ideal prospects, your next job is to pitch them your product help them solve their problems. Keep your email short and sweet. Understand what's in it for them. How would you react if you received the same email? Make it easy for them to take action. Your target clients are already hanging out somewhere online. Your job is to, well, find out where they are hanging out. In a nutshell, niche communities are online channels where people hang out to build relationships and strengthen their subject knowledge. There are many forms of niche communities, but in my opinion, the best ones are usually small, profile based and spam free. Niche communities come in many shapes and forms. What I found is that contributing to profile based communities helps with building better rapport. So, slack communities or other profile based networks (such as Inbound) are much better at building rapport then nickname based/anonymous communities, such as Reddit or IRC channels. The next step is to contribute to ongoing discussions. Don't bother about ROI at first. Just focus on sharing your knowledge and helping people out. Trying to blatantly sell your product or service will not only annoy other members but will also potentially get you banned. Join realtime conversations across 3 different Slack communities, over a period of 3 months. Affiliate programs are not for everyone. An affiliate program is an agreement where an affiliate business sends traffic to your business, for a specified fee. The agreement will specify how and when your affiliate is paid. For example, you might pay your affiliates for a set amount of traffic or when someone has purchased something from your website. When properly executed, affiliate programs can be an incredible way to scale your company without scaling marketing or business development resources. In fact, big companies like Amazon and Netflix are constantly using affiliate programs to grow their revenue. When does it make sense to work with affiliates? You know your numbers. Most importantly your customer acquisition cost, your customer lifetime value and your profit margins. You know your target client. Knowing your target market will help you get laser focused on building win-win relationships from the get-go. You trust your affiliates. Some affiliates might damage your reputation. Make sure you know exactly who you're dealing with. You affiliates are also your clients. The best referrals will usually come from those who love your offering. Your affiliates want to keep it as simple as possible. When starting out, focus on setting up a very simple profit sharing model.